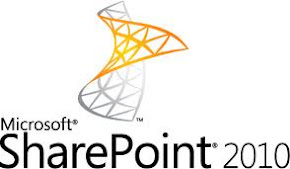 Microsoft’s announce today on SharePoint 2010 technical preview. This sneak peek display only limited features for customers & partners. The detailed announcement would release on SharePoint Conference this October. I screen capture the key features and highlighted briefly. Edit your web page directly and get live preview same as office client. Allow you to change common things such as images and text lot easier then current. Change Font Size which provide you live preview on font size. SharePoint 2010 out of the box the come with Sliverlight webpart which allow user to view interactive rich text content. Powerpoint themes preview and color with different fonts size. Upload the PowerPoint themes you able to select as SharePoint site theme the select colour palate display for your preview. By Clicking apply theme, SharePoint site change to news theme. SharePoint support multiple browser, such as Internet Explorer, Firefox and Safari. Allow to publish Visio diagrams directly to SharePoint and Using browser you can Open Visio diagrams. No Visio client Installation required. SharePoint Desinger 2010 new UI, enhanced modelling capabilities and improved workflow capabilities which makes designers and developers to collaborate seamless. Sneak preview about SharePOint 2010 . SharePoint 2010 - Overview Sneak Peek Video – by Thomas Rizzo. Microsoft SharePoint 2010 "technical preview"
When I run stsadm command to deploy feature I get an "Access Denied" error. The user is Part of Domain Admin Group and also the Primary Site Collection Administrator in SharePoint Central Administration. When I search online, Microsoft support provided me following work around for the issue, configure the Web publishing rule so that it does not block high-bit characters. But doesn’t solve my problem. Later I found that the issue coming from ISA HTTP Filter policy…. to resolve follow the below steps. Web servers receive requests that are URL encoded. This means that certain characters may be replaced with a percent sign (%) followed by a particular number. For example, %20 corresponds to a space, so a request for http://myserver/My%20Dir/My%20File.htm is the same as a request for http://myserver/My Dir/My File.htm. Normalization is the process of decoding URL-encoded requests. Because the % can be URL encoded, an attacker can submit a carefully crafted request to a server that is basically double-encoded. If this occurs, Internet Information Services (IIS) may accept a request that it would otherwise reject as not valid. When you select Verify Normalization, the HTTP filter normalizes the URL two times. If the URL after the first normalization is different from the URL after the second normalization, the filter rejects the request. This prevents attacks that rely on double-encoded requests. Note that while we recommend that you use the Verify Normalization function, it may also block legitimate requests that contain a %.